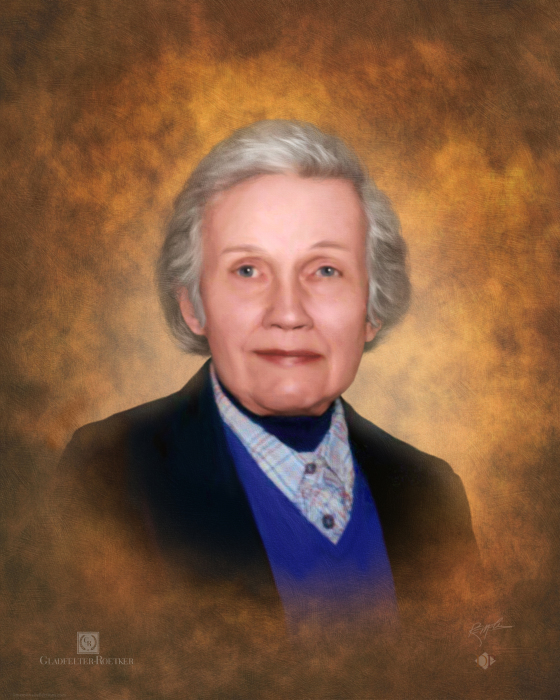 OTTAWA – Marie R. Telfer, age 88, of Ottawa, passed away Monday, February 4, 2019 at OSF St. Elizabeth Medical Center with her loving family at her side. Mass of Christian Burial will be 11:00 a.m. Saturday, February 9, 2019 at St. Francis of Assisi Church with Father Augustin Kassa officiating. Interment will follow in Ottawa Avenue Cemetery. Visitation will be from 4:00 p.m. till 7:00 p.m. Friday at Gladfelter-Roetker Funeral Home with the Rosary recited at 3:45 p.m. Pallbearers will be Dan Ostby, Jr., Dave Shipley, Ed Kahon, Ben Burnson, Derek Rieuf, and Scott Travi. Honorary pallbearers will be Troy Fleming, Ron Shipley, and Lloyd “Butch” Davis. Marie was born December 18, 1930 in Ottawa, Illinois, a daughter of James and Lillian (Loeffler) Telfer. Marie raised a niece and nephew, Christina Michelle Cherry and John Cherry. She is survived by a sister, Mary Cora Clevenger of Belle Plaine, Iowa; nieces and nephews, Christina Michelle (Troy) Fleming, Karen (Rich) Tomkins of Belle Plaine, Iowa, R.J. and Tyler Cherry of Ottawa, Jan Ramza of Bettendorf, Iowa, Marilyn Ostby and Nancy (Charlie) Biffany of Ottawa and Diane Telfer of Cedar Rapids, Iowa. She was preceded in death by two brothers, Robert and William Telfer; a sister, Carol (Pierce) Smith; her nephews, John Cherry and Dan Ostby, Sr.; and great-nephew, John Clifton Cherry. Marie was a member of St. Francis of Assisi Church and the Altar and Rosary Society. She was an Honorary Member of the Ottawa River Rescue Squad and was a loyal fan of the Chicago Bears. Marie enjoyed cooking, baking, watching television, and spending time daily in prayer. She cherished time spent with family. Memorial contributions may be directed to Masses at St. Francis Church. To share a memory or light a candle, please visit www.gladfelter-roetker.com or Gladfelter-Roetker Funeral Home on Facebook.